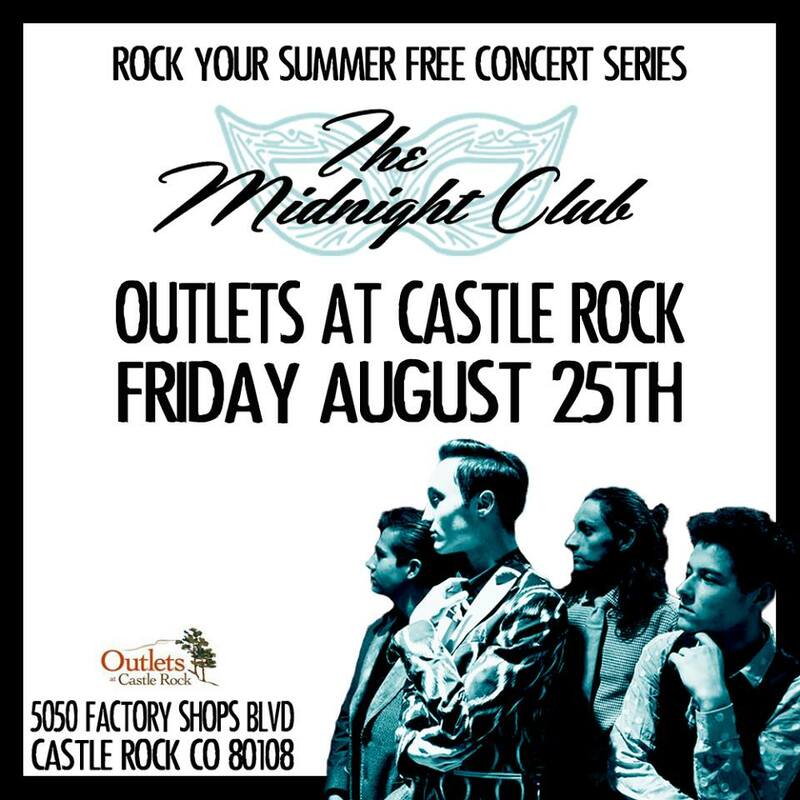 The Midnight Club have added a show this summer at the Outlets at Castle Rock, in Colorado. They will be playing in the outdoor courtyard on August 25th, from 6pm - 8pm and is free to all. The concert is part of the Rock Your Summer Free Concert Series, presented by Outlets at Castle Rock and The Colorado Renaissance Festival, which features free events on the last Friday of the month from June to August. The concert will be outside, so bring picnic blankets and chairs! Connect with The Midnight Club for updates!